What’s The Best Way To Protect Yourself...At Home...At Work...At School...Where You Shop...When You Travel? Security Experts At AMAG, CISCO, Cyberinc, Dell EMC, Fujitsu, Identiv, ImageWare Systems and VOTI DETECTION™ Answer The Question! 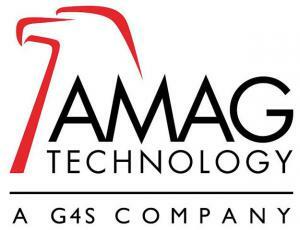 Description:	Whether it’s a new product offering, company update or tips on how to easily meet compliance, AMAG’s goals are to communicate what’s new and to help you design and commission the perfect solution. "There is no silver bullet. A committed attacker will always find a way. Your best defense is a balance of both protection and detection. When bad things do inevitably happen, your detection capabilities will enable you to find the threat quickly and mitigate the damage. Our focus in Cisco Security is to automate as much of this process are possible for organizations so that once a new threat is identified, it is automatically blocked across not only the enterprise, but also the entire Cisco user-base. In doing so, we multiply the collective wisdom of our customers, partners, and our deep bench of talented threat researchers." 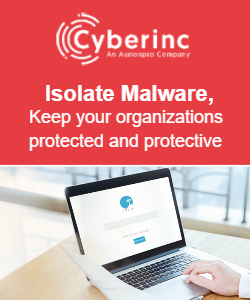 Cyberinc a leader in isolation based cybersecurity, helping businesses actively reduce attack surface and protect themselves against web malware, announced that it has joined Hewlett Packard Enterprise’s HPE Complete Program. Businesses worldwide and specifically, HPE’s customers can acquire Isla directly from HPE and its global reseller network. "We are seeing changes driven by mutations in the nature of terrorist threats and these have created needs for Critical Infrastructure property owners and operators to align their protection and safety regimes with advice received from two main sources - the Police and liability insurers/re-assurance organisations. Historically, protecting planes and stopping luggage theft was a priority - and now the effort is expanded toward increasing the safety of the airplane travelers and luggage owners instead. New European data and privacy laws effective from May 2018 (GDPR) have caused IT and data managers to review their policies and practices effectively in order to ensure the rights of any citizen to 'disappear' is balanced with the security requirement which has always been placed on Operators to know who is using their facility and to ensure they secure their crowded spaces. There is no doubt an increase in the cost of providing the safe traveler environment and the cost is seen usually as either an Airport Levy or local tax - which is seen as making transportation facility access more costly to travelers." “Our co-creation approach is strategic and ensures we develop the right partnerships and expertise that will enable us to deliver transformational outcomes. We select our partners carefully using this methodology. Organizations are adopting various types of authentication to achieve the right mix of security, privacy and a differentiated user experience. 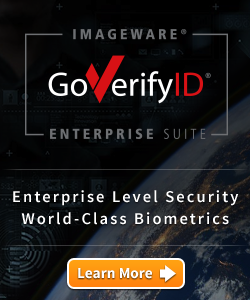 Our partnership with ImageWare allows us to expand our Identity and Access Management offerings to provide our customers with more multi-factor authentication technologies." “Las Vegas was a terrible tragedy and does trigger additional discussion on security, especially for protection of people and saving lives. There is no doubt in my mind more screening in public and private physical entrances and exits will be required and mandated. Other countries, enterprises and communities outside North America are already taking the step to enhance their security. 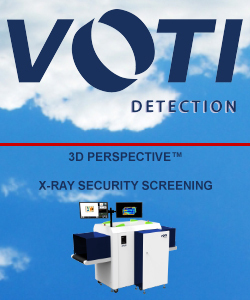 In many regions of Europe, Africa and the Middle East, hotels, public facilities such as shopping malls, museums, sports venues, concert halls, etc., have x-ray scanners deployed. Asia is following and I expect North America will not be too far behind. As more awareness is given to the role of x-ray scanners in these domains, AI and analytics will be play a key role in the automation and predictive detection of threats to all”.